Pre-consumer waste. Post-consumer waste. Zero waste. Pre-sale. Mass-upcycling. Heard them but never really understood them? These terms are unfamiliar to quite many or often confused together. All of these terms back up the circular economy, which is seen, as stated in the previous Lost in terms post, as the future’s business model. Managing textile waste, selling and reusing it becomes a bigger business all the time for several reasons. Just to name a few, the “quantity over quality” way of thinking in completely unsustainable, there are fewer resources to use, and the landfills are packed with waste. The textile industry and its waste are also a topic in the EU politics. The European Parliament just pushed forward to the European Commission the so-called ‘EU Flagship Initiative on the garment sector’. Through this motion, the Parliament wants to improve the garment industry by demanding mandatory due diligence in the textile sector, and mandatory transparency in the supply chain. In addition, the EU members must mandatorily collect textile waste separately by the year 2020. There are numerous brands in Weecos who design fabulous, personal everyday clothes and fashion pieces with these ecological and ethical design techniques. Pre-consumer waste, also known as post-industrial waste, is the material left over from the production of garments. The material can be cutting leftovers, roll ends, overproduction and rejected fabrics. What’s uniting these waste forms is that it never ends up to the consumer and, therefore, is forgotten. As we don’t see the factory’s cutting waste, which has been estimated to be 15-20 % of the fabric, we don’t realise its existence or the problem in it. 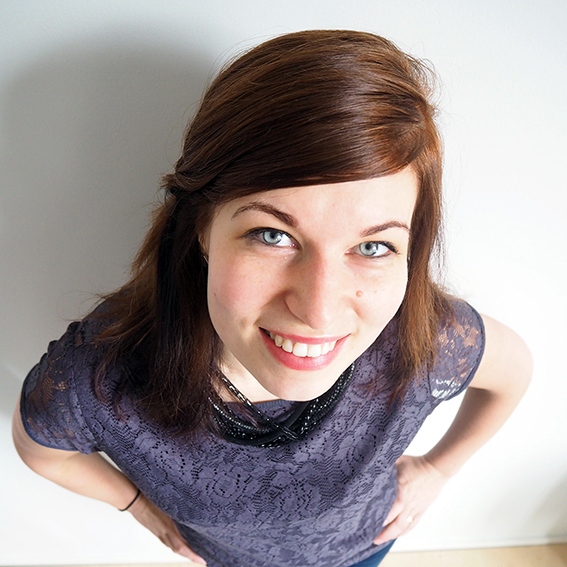 Iljana is one of the designers in Weecos who makes limited edition collections by using pre-consumer waste. This Iljana’s blue-crossed choker top and skirt are made from industry deadstock’s 100% cotton fabric. According to Outi Les Pyy, it is hard to get this waste logistically to the users as the factories are in the East. She suggests that it would be wiser environmentally to educate more designers to use pre- and post-consumer waste. Post-consumer waste is the material and clothing, which the consumer has purchased, most likely worn and then decided to it put away. Post-consumer waste is the gigantic pile we often see in pictures when talking about textile waste. In Finland alone, 70-80 million kilos of textiles are thrown away each year, which means approximately 14 kilos per person. It would be extremely significant to raise consumers’ awareness on where to recycle textile waste. According to Recci, a Helsinki-based company selling and recycling clothes from consumers, says that approximately 10-20 % of the given materials are in a good, selling condition. The rest of the clothes Recci puts forward to the EU-area. 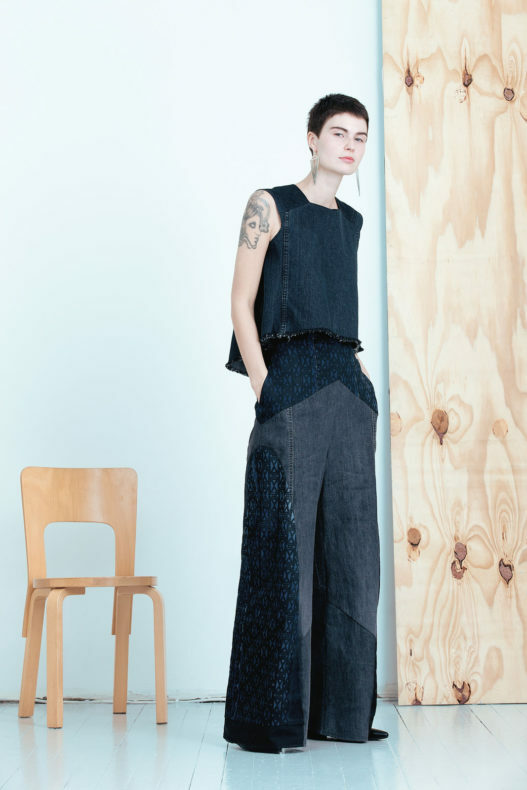 Paula Malleus and TAUKO Design use post-consumer waste and textiles in their collection. 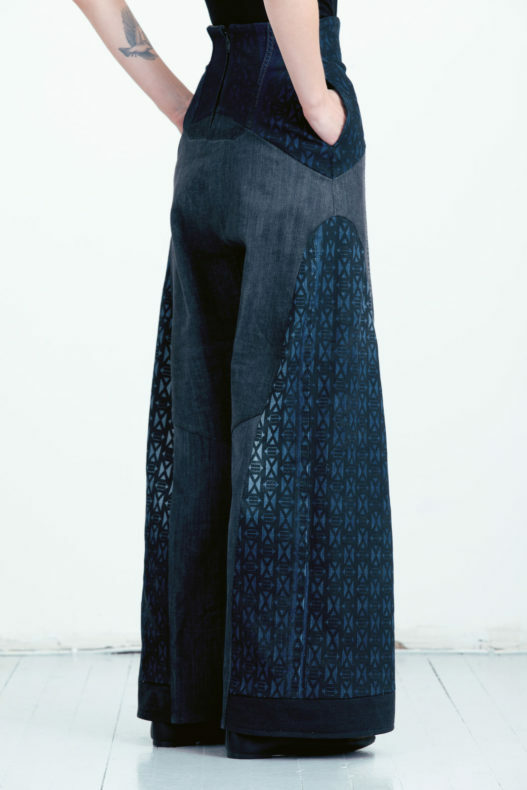 This TAUKO dress is partly made from hospital textile waste. Gorgeous, isn’t it? The core idea of zero waste technique is to generate little or no textile waste at all during the manufacturing process. It goes without saying that this method saves money as no yarn or fabric is wasted. This designing style is used for centuries and it requires a new way of thinking and creativity from the designer. Arela produces their cashmere knitwear by following zero waste technique. All the cashmere knitwear by Arela are made by following the zero waste method. Mass-upcycling is a production method where pre-consumer waste is used to do a bigger quantity of products. The method is new, and it is not yet widely adopted by the fashion and textile industry. The Estonian designer Reet Aus makes her Up-shirts by following the mass-upcycling production method and actually, developed the first up-cycling certification in the textile industry, which is used now in four factories. She has also begun to meet major brands and made them aware of the amount of leftovers and the possibilities it contains for increasing the revenue of their businesses. More on Reet’s and Beximco‘s cooperation and the method’s huge positive environmental impact can be read here. Every Up-shirt saves 91% water and 87% energy as it is made using leftover materials that meet international labour standards and avoids restricted hazardous chemicals. Pre-sale is a new business model, in which the products are produced according to the amount of ordered products. Pre-sale promotes slow fashion as nothing extra is produced to the storages. The actual production happens after the pre-sale campaign is over. Many Weecos brands, such as Uhana Design, Mori Collective, Nouki and Neulomo, have already adopted the pre-sale model. This model helps the brand to create products and collection that are wanted by customers. More details on pre-sale can be read here. 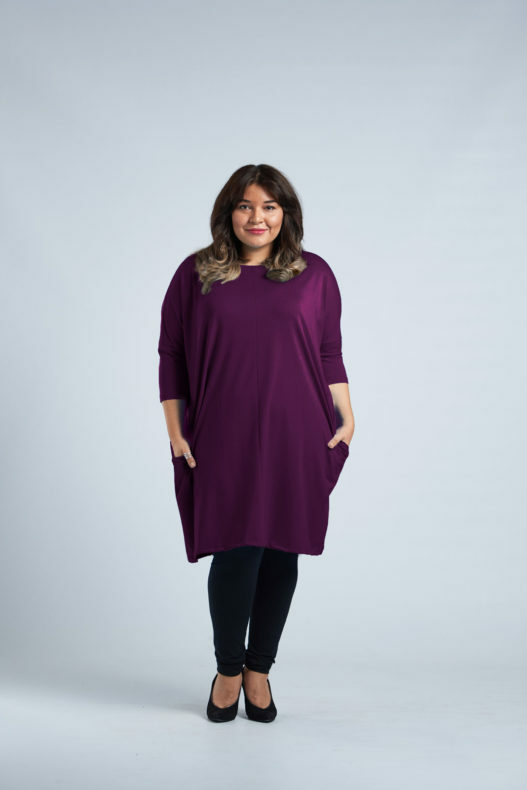 The Marika tunic was the first pre-sale garment in Weecos. Now it is available in several colours.